David A. Brauner's practice is based on relationships with clients that sometimes span several generations and is concentrated in the areas of estate planning and the administration of estates and trusts, real estate transactions and the representation of owners and cooperatives, and a broad variety of corporate matters. Mr. Brauner provides counseling and advice principally to privately owned, entrepreneurial business entities and their owners and executives. Long active in philanthropic and community activities, Mr. Brauner is a director of the Herman Goldman Foundation, the Helen Matchett DeMario Foundation and the Burpee Foundation, as well as a director and past president of The Bridge, Inc., a social service, housing, and advocacy group for the mentally ill and a former director of DOROT, a not-for-profit agency providing services to the homebound elderly. He is listed in Who's Who in American Law and Who's Who in America. 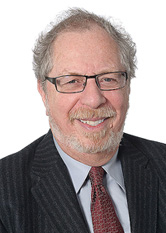 Mr. Brauner was formerly a member of Brauner Baron Rosenzweig and Klein, LLP. He served as a VISTA volunteer assigned to the Denver County Court in Denver, Colorado from 1966-1967 and was the recipient, the following year, of the Reginald Heber Smith Community Lawyer Fellowship. "The Impact of Arrears," The Cooperator (July 2011).